The recently announced FDA pre-cert program is likely to expand the market for innovative new digital health solutions while also providing a boost for traditional medical device companies. However, there are likely to be some important exclusions. The digital health ecosystem is all excited about the FDA’s recently announced pilot program to offer pre-certification (pre-cert) options for digital health technologies, bringing them under the purview of what is being referred to as software as a medical device or SaMD. This is seen as an opportunity to accelerate innovation without the stifling controls and processes normally associated with the approval of medical devices. The FDA’s announcement inviting applications for the pilot program states that the pre-certification will be provided to software development shops that demonstrate a culture of quality in software development and testing. This is meant to eventually replace the need for a pre-market submission, which is often a lengthy process that medical devices companies go through to get products into the market. It also states that the program will be open to software firms that are not traditionally considered medical device companies. At the completion of the pilot, one expects that there will be a breed of software companies that will be able to rapidly develop and deploy “FDA-approved” digital health solutions and accelerate innovation. To put the FDA’s pre-cert program in context, consider that over $ 4.5 billion a year has been going into funding digital health start-ups over the past few years. A large percentage of the startups are focused on developing products that directly target healthcare consumers in the form of mobile apps. A study by QuintilesIMS in 2016 found that of the 165,000 or so mobile health apps in the Apple and Android marketplaces, a very small number were clinically approved. Digital health startups, either unable or unwilling to navigate the regulatory landscape to get their products approved for use in a clinical context, would find the FDA’s new program a welcome opportunity. Their venture capital backers will no doubt find this a welcome development as well, considering the low traction levels for many of these startups that are struggling to gain acceptance in a clinical setting. To its credit, the FDA acknowledges the importance of the burgeoning ecosystem of digital health and the emergence of new market participants with innovative products and solutions. It recognizes the crucial difference the pre-certification program can make to potentially wider acceptance of digital health solutions and making them available to the public at large to improve health and wellness. The FDA also has chosen to focus on the development shops and not the product itself; this implicitly equates rigorous software development processes with the quality of end products in a landscape where products and solutions can undergo frequent changes in response to market needs. However, it also makes it clear that patient safety will remain a top priority. The Medical Device industry is no stranger to FDA regulation. While the industry is associated with hardware devices, many of their products have embedded software that enables the hardware to become “smart” devices. These devices form a significant part of the growing Internet of Things (IoT) backbone in the healthcare ecosystem. In the current framework of strict regulations on pre-market and post-market product development and management, the heavy hand of regulations provides limited options to make frequent changes to products or implement them quickly. The new FDA pre-certification program is bound to provide a boost to medical device companies such as Beckman Coulter , a company that has been around since 1935 and has a strong culture of quality assurance in every aspect of its business. Wido Menhardt, VP of Clinical Informatics for Beckman Coulter, is very impressed with the FDA’s new approach to regulation. According to Menhardt, the medical device industry’s traditional approach to the FDA has been very defensive – verify, validate, lock it down, never touch it again. There was a natural reluctance to go the FDA for even the smallest of changes due to the lengthy review processes involved. However, this same reluctance could actually increase patient risks if vulnerable medical devices in the market are not patched regularly to defend against cyber attacks (I have written previously in this column about the FDA’s recent moves to provide some leeway in this context to medical device manufacturers). In fact, this was the exact scenario that the devices industry found itself in during the recent WannaCry malware attacks that crippled the U. K’s National Health System. Menhardt appreciates that the FDA is now trying to reduce the burden on medical device companies. He believes that for companies like Beckman Coulter that operate under a single enterprise-wide quality system, the pre-cert program could be a significant opportunity. However, he views the pre-cert pilot program as being targeted more at pure play software companies, especially digital health startups. 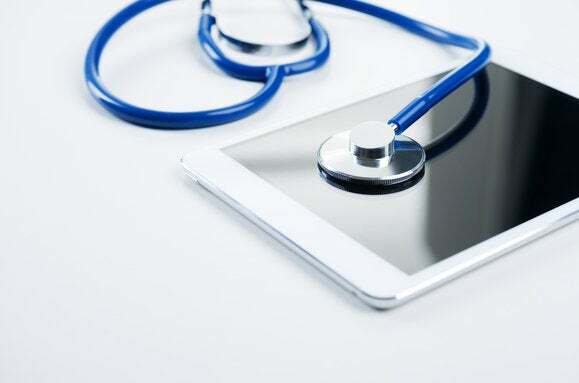 He also believes that it is unlikely that critical medical devices, especially those categorized as class 3 devices, will be covered by a pre-cert program anytime soon because of the severity of the impact on patient safety from such devices. The FDA also recognizes that traditional approaches to higher risk medical devices are not suitable for software-based medical technologies. Ultimately, the FDA pre-cert program is likely to expand the market for innovative new digital health solutions while also providing a boost for traditional medical device companies. It may be a while before the pilot program is formalized for open participation by the broader digital health and medical device industry. However, the trends are positive, going by the FDA’s commitment to accelerate innovation by addressing the burden of compliance on the industry.